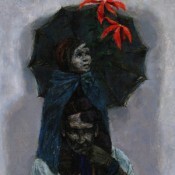 As a young artist in the 1960s, Richard McLean noted that most of his contemporaries were portraying urban subjects, and “no one was painting anything outside the city limits.” To set himself apart, he sought inspiration in the rural life he experienced while growing up on a farm in Idaho. 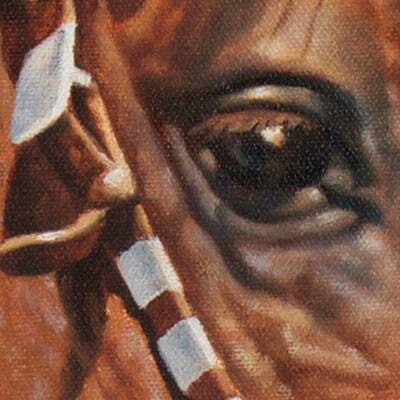 He knew horses well, and they became the central subject of his work. 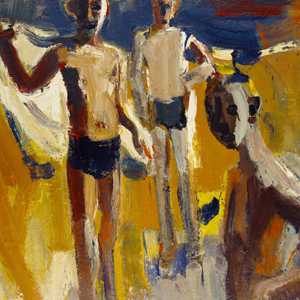 Rather than paint horses in dramatic action as many Western artists had done in the past, McLean presented them within the theatrical environment of horse shows and county fairs. His detailed images of prize horses posed with their proud owners document an American subculture of breeding and showmanship. 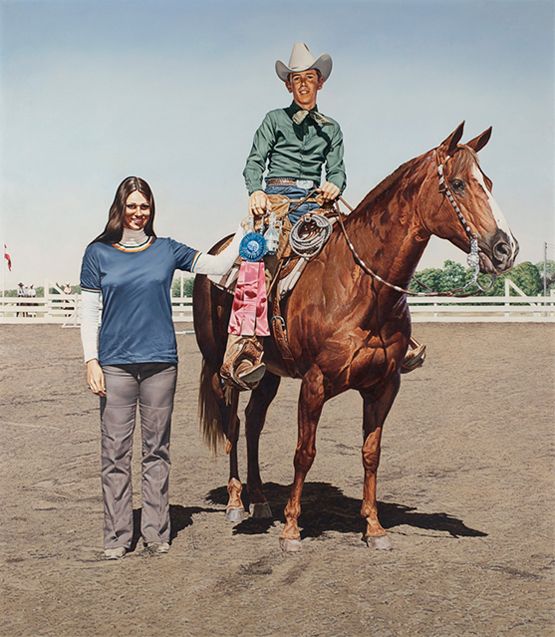 McLean’s early paintings were directly copied from reproductions in popular equestrian magazines, a technique that placed him at the forefront of the American-bred Photorealist movement of the 1970s. 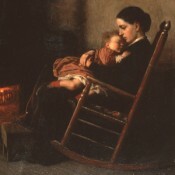 By replicating photographic images he and his fellow Photorealists avoided the potential trappings of self-expression and nostalgia in order to convey a very literal picture of modern life that remains open to our own interpretation. I think neutrality is extremely important because then the situation becomes germinal; various conclusions or readings are more apt to grow out of it. Maybe my paintings succeed when they do because some look at them and think they are humorous, others think they are biting, ripping satire, and others see them quite the way I intended. From an interview by Brian O'Doherty in "The Photo-Realists: 12 Interviews," Art in America, November-December, 1972, p.